Breakfast Service at My Sister’s Place Women’s Center – Alliance of Black Women Attorneys of Maryland, Inc.
Volunteer group is full. Alternates are being accepted. 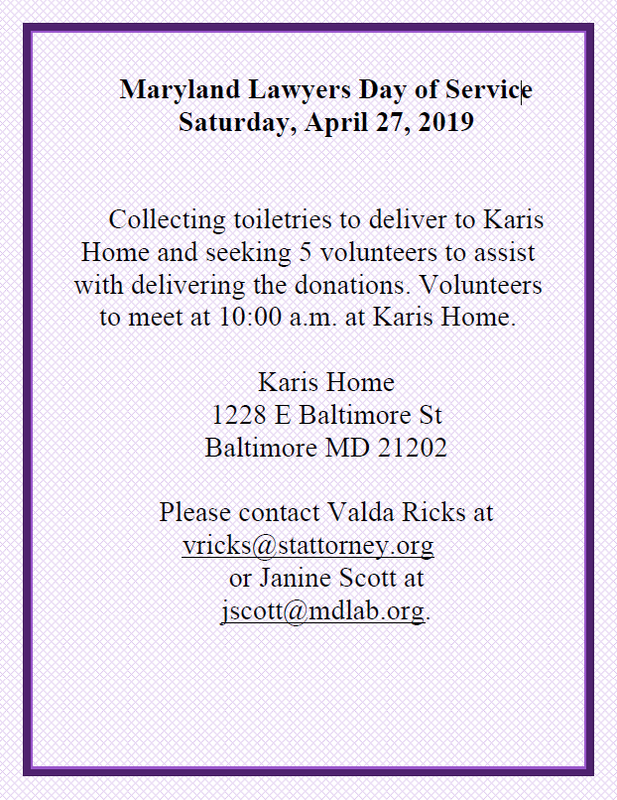 Please contact Valda Ricks at vricks@stattorney.org or Janine Scott at jscott@mdlab.org to volunteer.